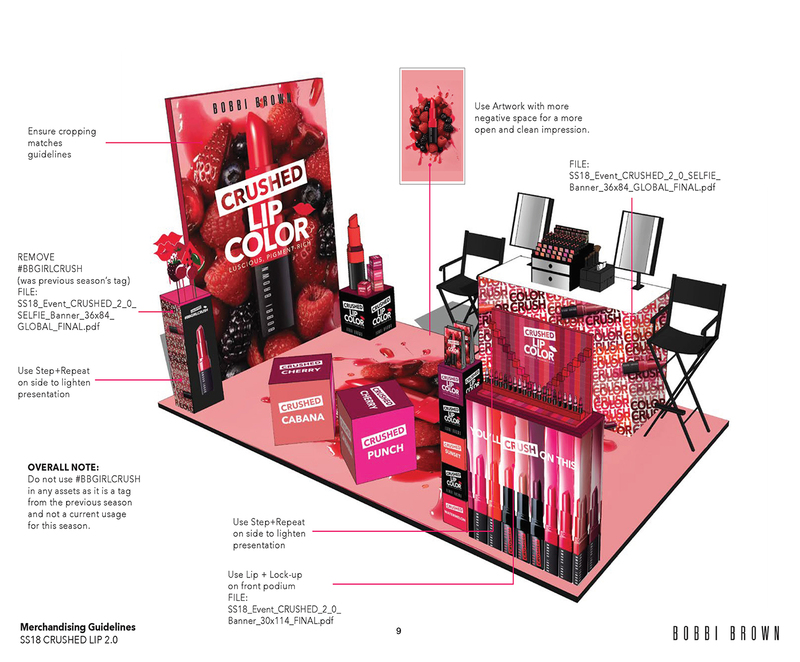 Project Background: Crushed lip is one Bobbi Brown’s most wearable lipsticks. 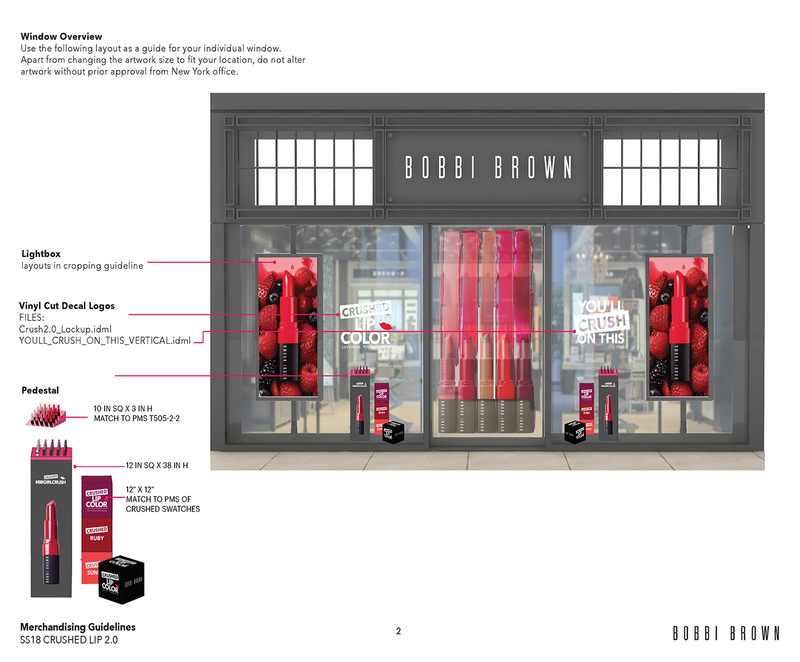 There’s a constant push to keep merchandising aligned with the brand strategy across all of the stores, window displays, niche overviews, POS’s, back wall displays, launch units, etc. 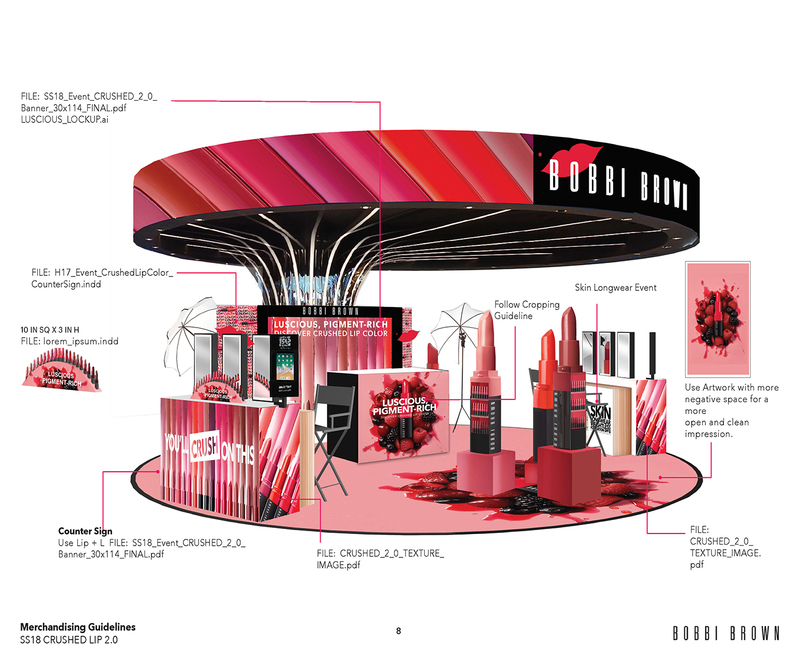 Project Goals: As an associate director of VM at BB. 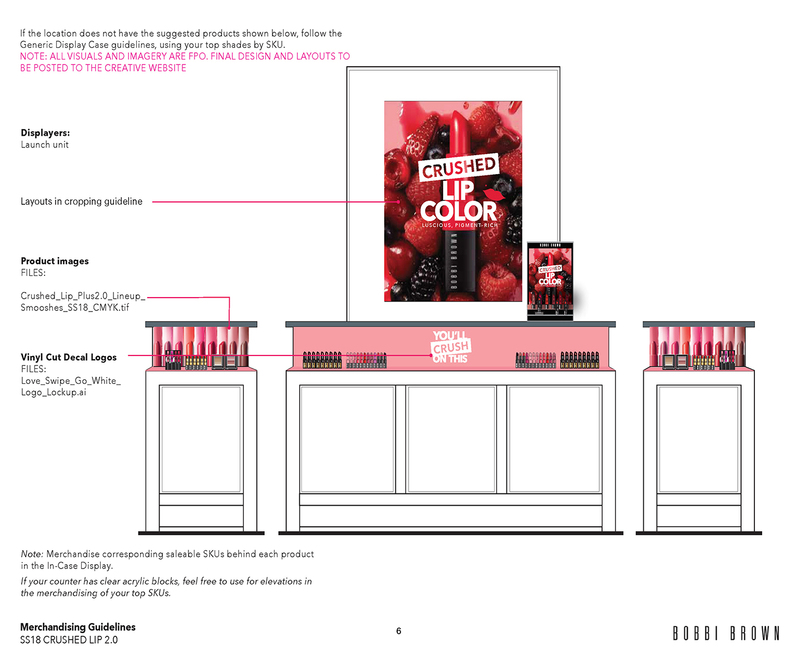 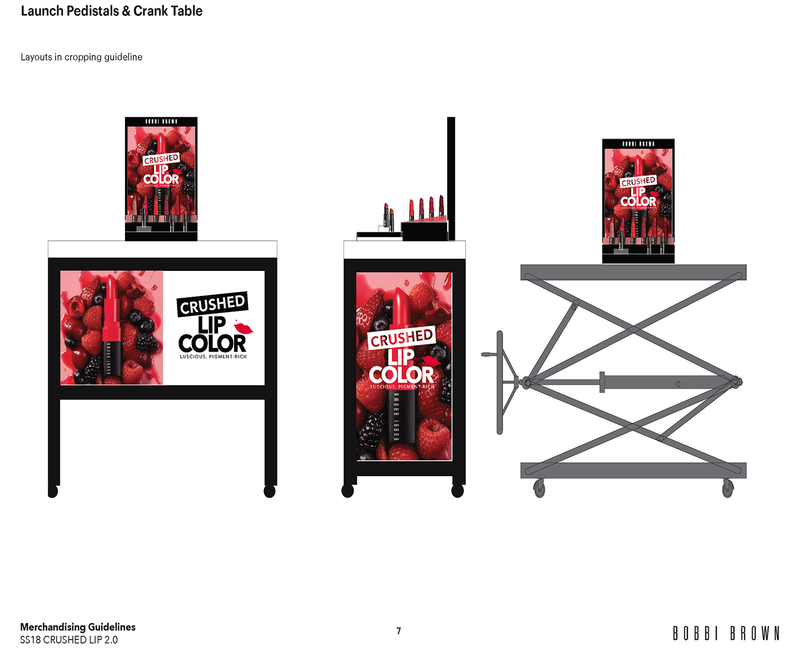 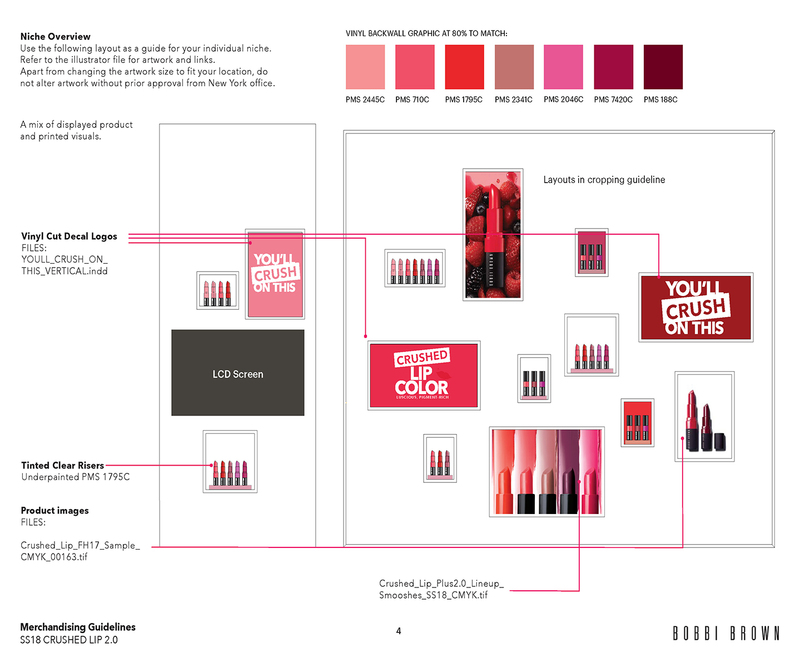 I worked together with the VP of store design, the VM director, and the creative director to compile and produce merchandising guidelines for the crushed lip campaign, in the US and around the world. 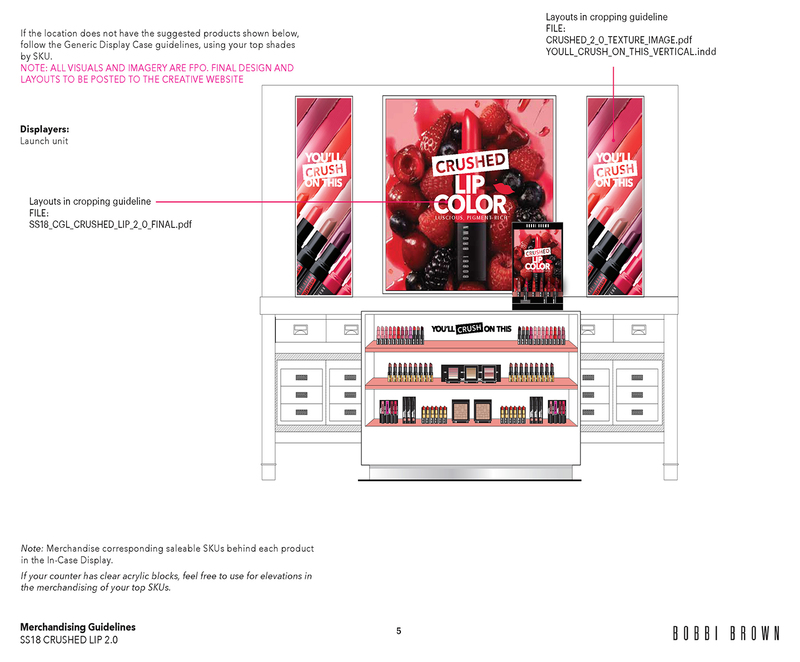 Including the travel retail and the specialty multi channel.